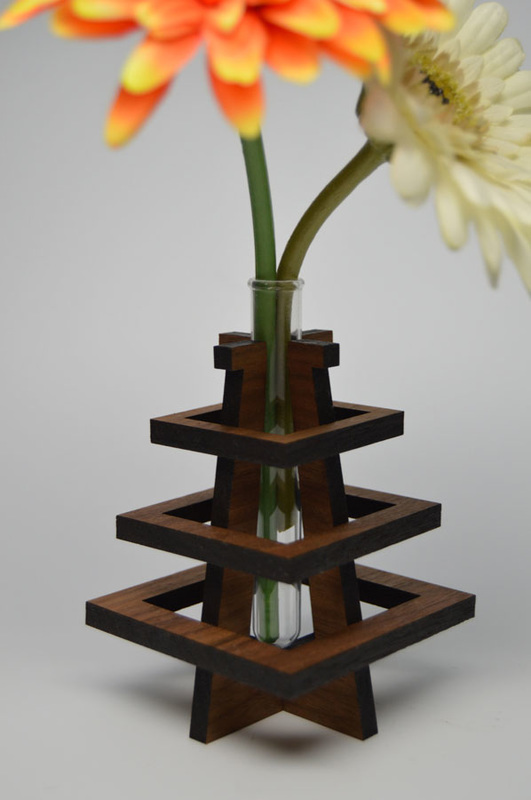 This beautiful bud vase is made of solid wood and has a glass test tube to hold a flower in a unique and interesting way. 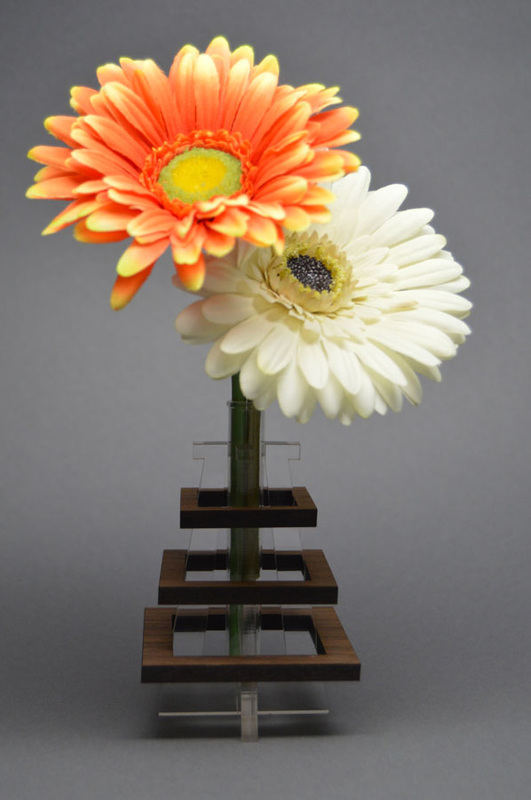 The vase is laser cut to give the feeling that the flower is suspended between the pieces of wood. 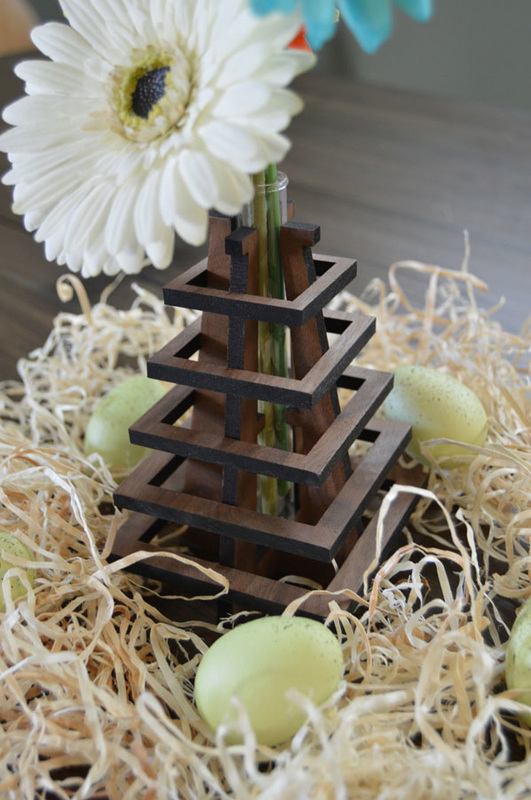 The vase is made with 1/4" solid walnut wood. 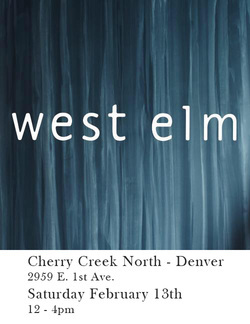 Available in other materials and woods. 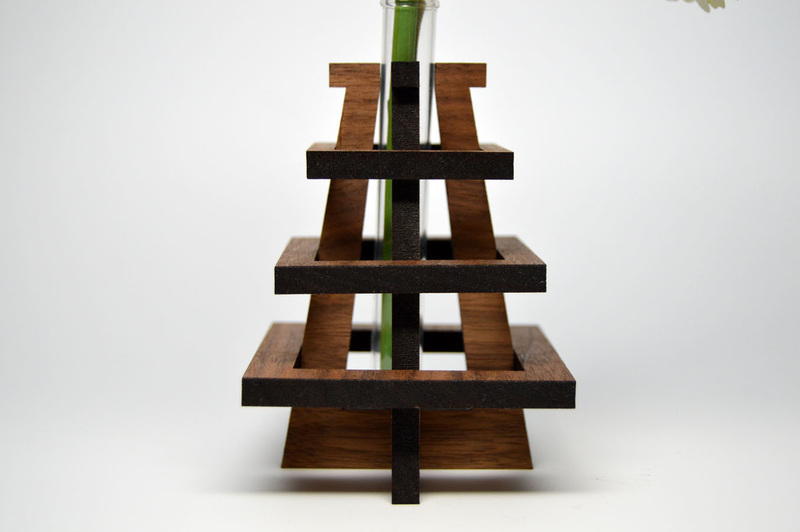 This beautiful bud vase is made of solid wood and has a glass test tube to hold a flower in a unique and interesting way. 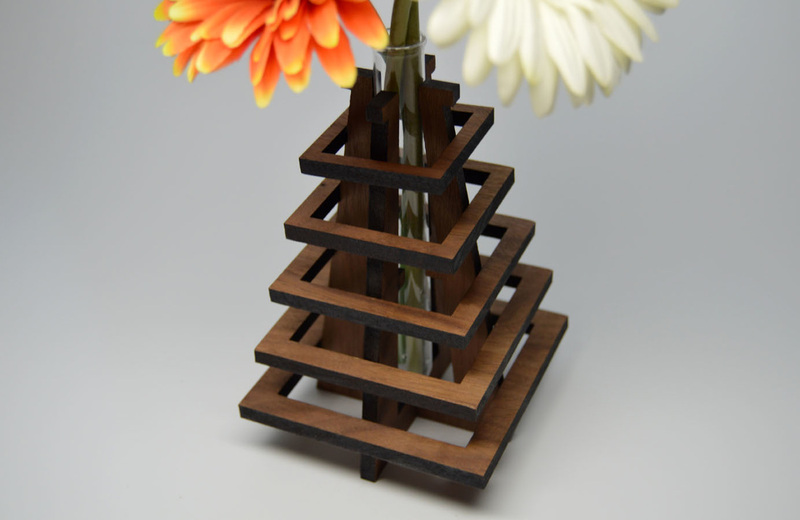 The vase is laser cut to give the feeling that the flower is suspended between the pieces of wood. 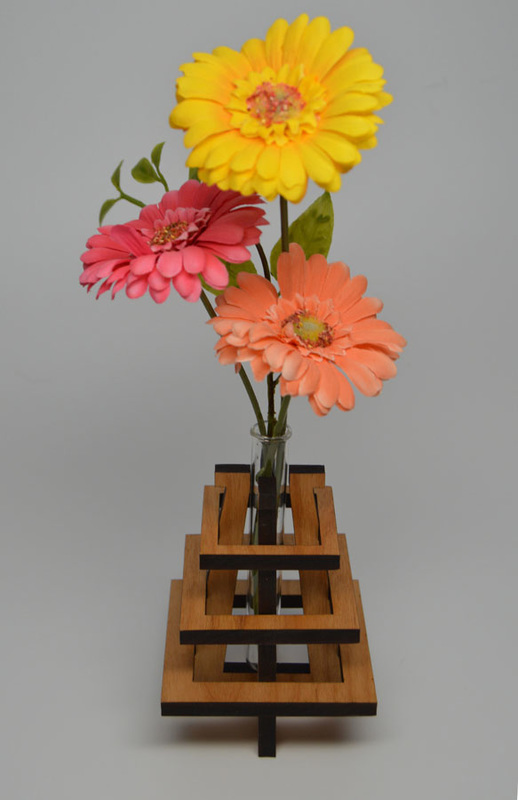 The vase is made with 1/4" solid cherry wood. 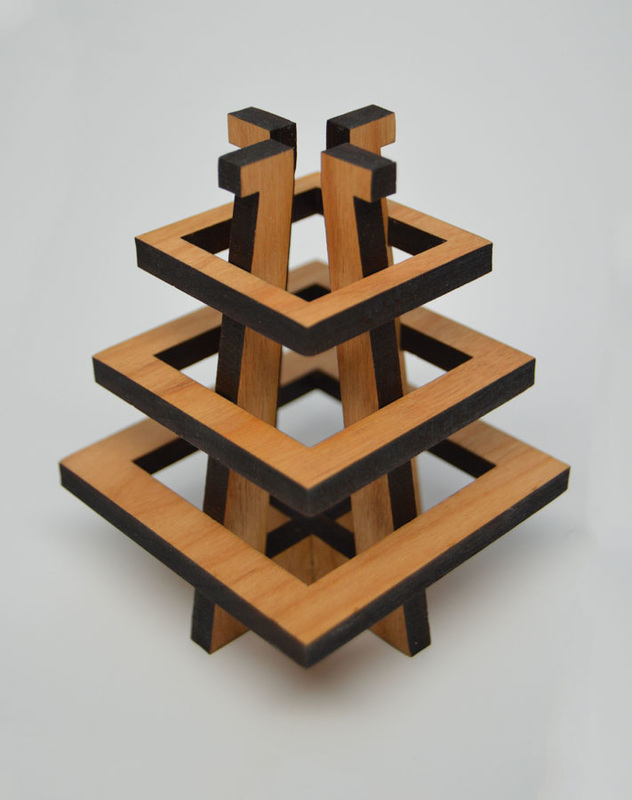 Available in other materials and woods. 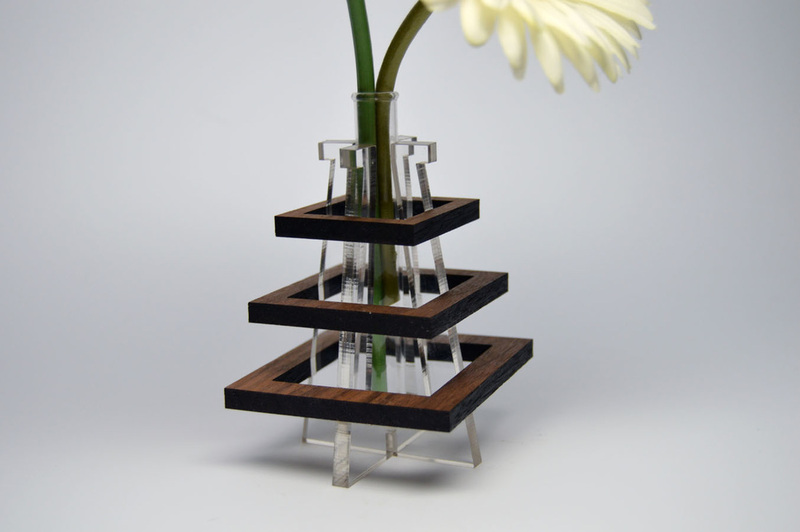 This beautiful bud vase is made of solid wood and acrylic and has a glass test tube to hold a flower in a unique and interesting way. 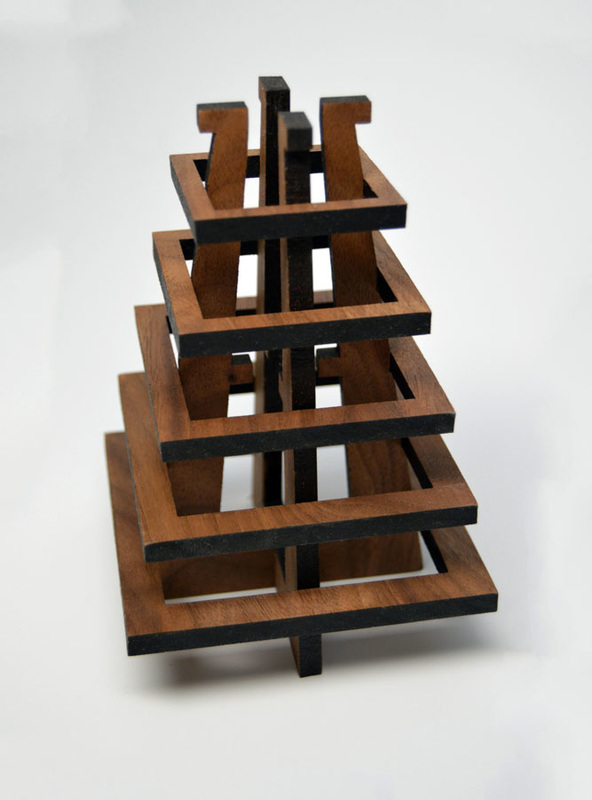 The acrylic vertical pieces create the feeling that the wood is floating . 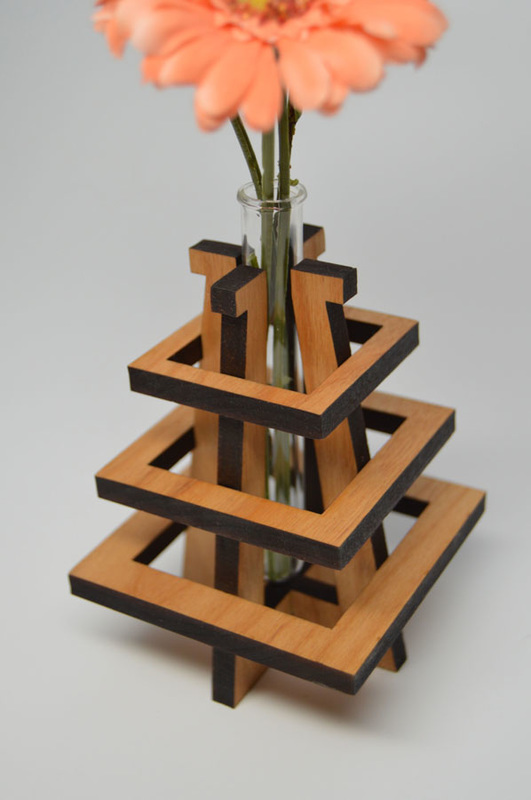 The vase is made with 1/4" acrylic and a choice of wood. 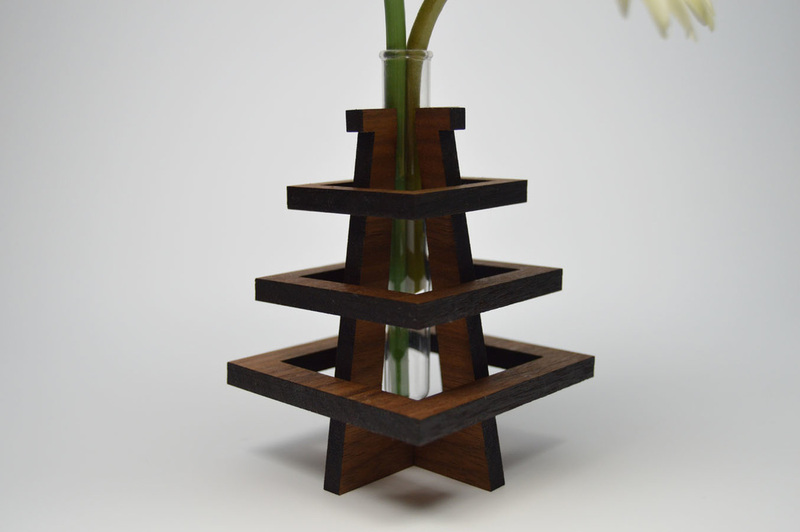 4" x 4" x 6.5"
This beautiful bud vase is made of solid wood and has a glass test tube to hold a flower in a unique and interesting way. 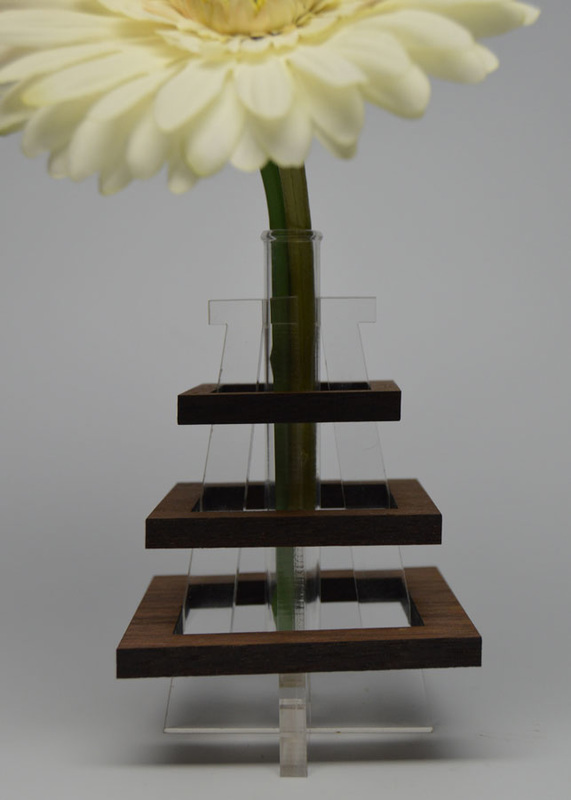 The vase is laser cut to give the feeling that the flower is suspended between the pieces of wood.